Our alarm was set for 4:45am this morning. When it began beeping, we laid in bed for 10 minutes debating whether or not to actually get out of bed. We had planned on waking up while it was still dark outside to watch the sunrise from Cadillac Mountain in Acadia National Park. As the highest point along the North Atlantic seaboard, this is the first place in the United States where the sunrise can be seen for 5 months out of the year. While debating whether or not it was worth getting up for, we remembered our promise to ourselves to not have any regrets on our trip. Not knowing if we’d have another opportunity to see the first sunrise in the nation, we pulled ourselves out of the cozy warmth of our bed and began the drive through the park up Cadillac Mountain. When we reached the parking lot at the top of the mountain, we still had about 30 minutes before the sun was scheduled to rise. Sitting against a rock to block the frigid wind, we huddled together in the dark under a blanket as we counted down the minutes. 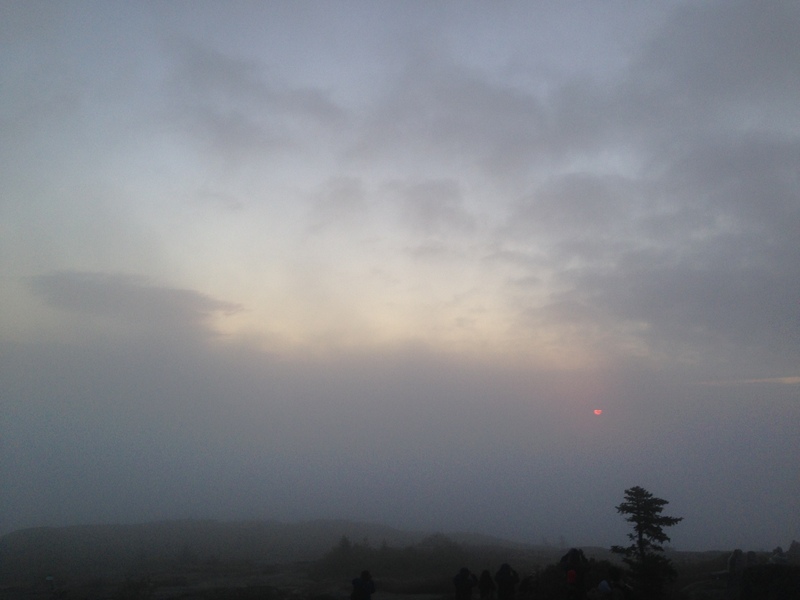 We waited for a spectacular sunrise to illuminate the sky, but a heavy fog obscured our view. Eventually we could see a blurry spot of light behind the clouds. We kept watching as the fog gradually dissipated revealing more sunlight. It wasn’t the most impressive sunrise we had ever seen, but it was better than nothing. Deciding that we had seen the best part of the sunrise that morning, we left the summit. As we wound our way back down the mountain, we pulled over at a lookout point where the sun was shining through the remaining clouds. We could see the ocean far below dotted with islands surrounding the cruise ship in the harbor. This was the view worth getting up for! On our way out of Acadia National Park, we stopped at Jordan’s Pond. We then ventured into Bar Harbor where we had breakfast at Jeannie’s Great Maine Breakfast cafe. The Pot Roast Hash was delicious with chunks of tender, savory pot roast. A hearty breakfast was just what we needed! After seeing more of the charming fishing village in the daylight, we went back to our campground. We were scheduled to check out this morning but had wanted to extend our stay an extra day. However, our current site was already booked. We had no choice but to move on. We hooked the trailer up to the truck and got on the road heading to the southern coast of Maine. Once we were set up at the campground we found in Kennebunkport, we drove into town for dinner. 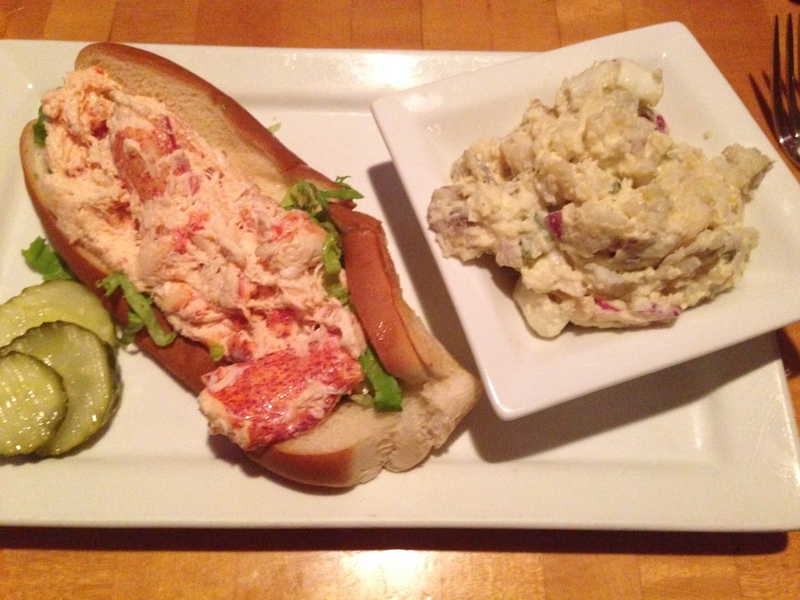 Based on the recommendation of the campground for the best lobster roll, we ate at Alisson’s Restaurant & Pub. Good advice! This was my favorite lobster roll! Last night was too dark and foggy to see anything in Kennebunkport, so we revisited the little seaside town today. I was determined to have another lobster roll from Alisson’s. But first we decided to try another version from The Clam Shack as an appetizer. We walked up to the outdoor counter of the actual shack and ordered one of their famous lobster rolls. With the option of having it with mayo, melted butter or both, we decided to go all out with both mayo and butter (good call!). Unlike most lobster rolls that come on a long hotdog type bun, this one was on more of a round hamburger style bun. While small, it had massive chunks of lobster and was dripping with flavor from the mayo and melted butter combo. Even though The Clam Shack is known for their lobster rolls, we still preferred the one at Alisson’s. We returned to Alisson’s for our entrée lobster rolls, which also happened to be our last lobster dish to honor our final day in Maine. With lobster-filled bellies, a walk was in order to work off some our recently consumed calories. 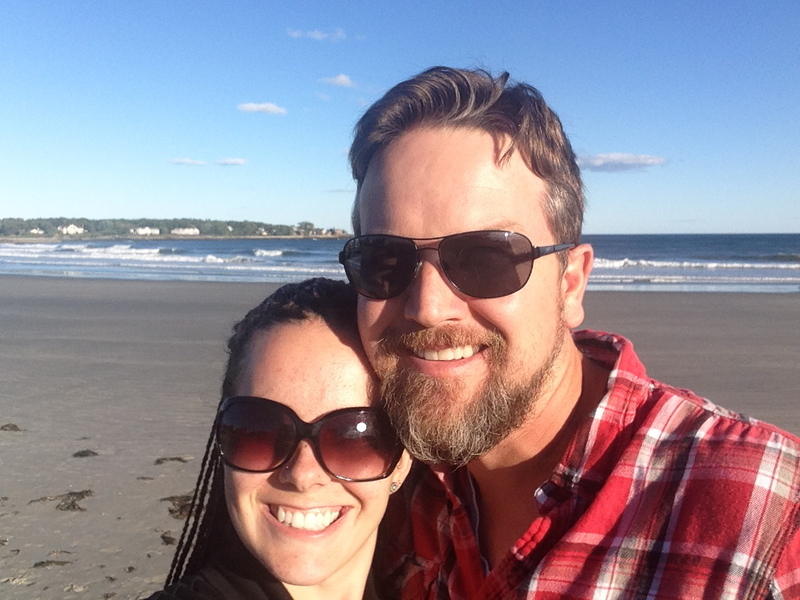 We’re always excited for an opportunity to visit a beach, and Kennebunk Beach was just a mile away! 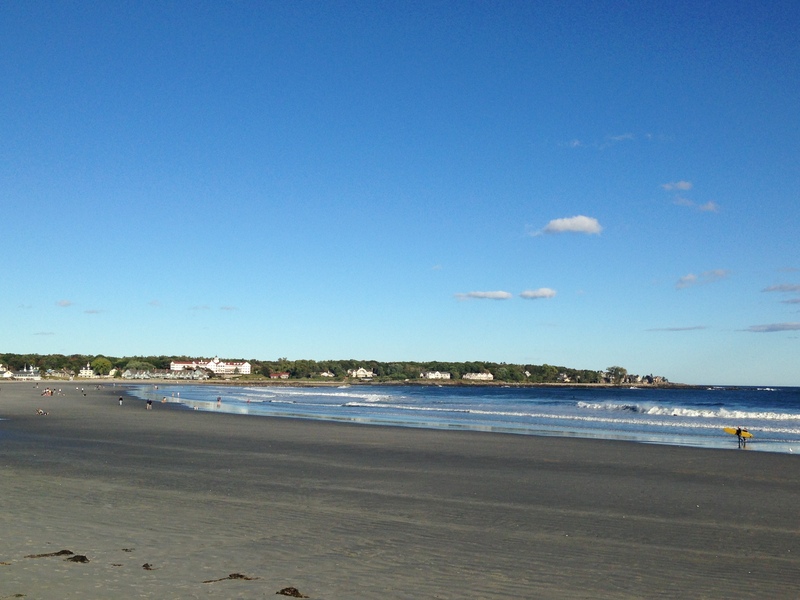 We strolled along the expansive sandy shoreline bordering the Maine Gulf and were surprised (as well as impressed) to see someone surfing in the frigid water. There were also several dogs on the beach. It’s always a joy to see pups running freely and leaping into the water to fetch their toys. 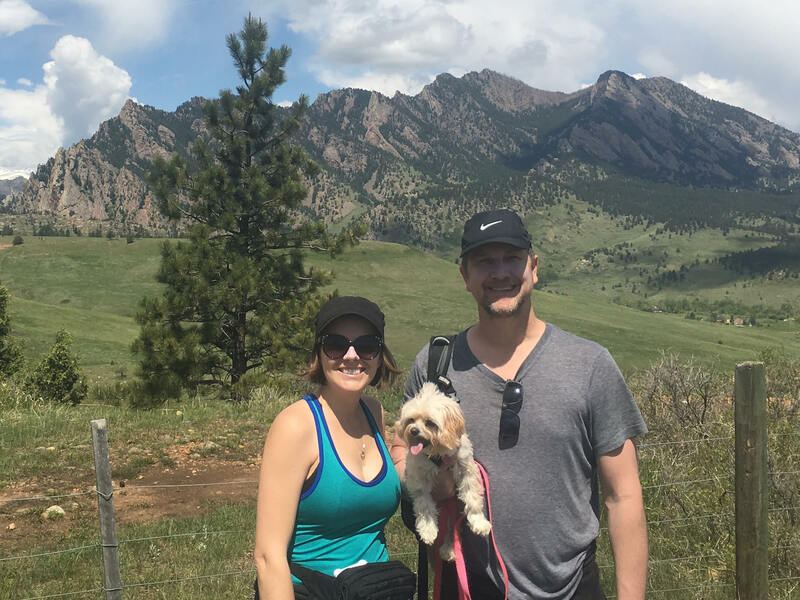 We love finding dog-friendly beaches! We’re back in sunny California now. 🙂 Wish we could’ve spent the holidays with you all!